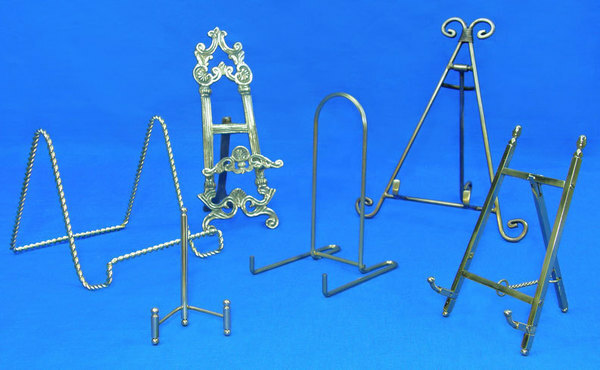 Large selection of display easels and decorative easels for all your display needs. One might not think that the history of the easel is a complex one, but it is! This chapter will outline the easel's origination and rise to popularity. An easel is a structure built to support an artist’s canvas. 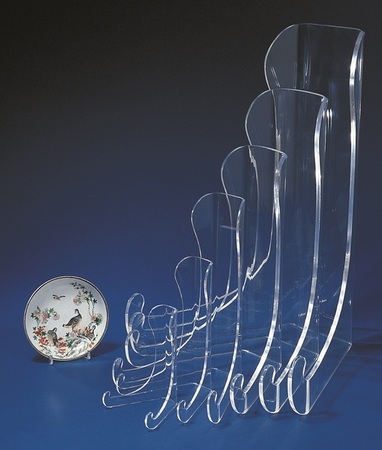 Easels are also commonly used to display finished works of art. Useful in many situations for a variety of reasons, the easel, in all its forms, is an invention that can be found being used very far back into our world's history. The ancient Egyptian hieroglyph artists used their skirts1 pulled taut around their knees as a sturdy place to write on their tablets. Because much of their writing and art had religious connotations, their finished tablets were displayed on elevated platforms2 now known as the bookstand. 1) Hieroglyph Man Image - Artist unknown. Scribe from Tomb of Saqqara. The Louvre, Paris. Everyday Life in Bible Times. Melville Bell Grosvenor, Ed. (Washington D.C.: National Geographic Society, 1967) 112. 2) Bookstand Art Image - Grosvenor 326. Mention of an easel was first formally recorded as far back as the first century CE when Pliny the Elder wrote about a large panel being painted on by an artist who had propped it up on what could have only been one of the first easels. Pliny the Elder1 was the accomplished writer of the book Natural History2. 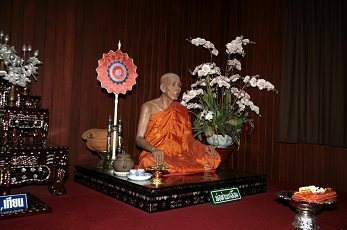 His book is considered to house nearly all of the ancient knowledge that preceded him and is frequently used as an encyclopedia. 2) Naturalis Historius Image - Source: English wikipedia. Published in AD 77, it was and is used as a reference material to all history that comes before that date, including most of the famous artwork. Because Pliny the Elder, whose real name was Caius Plinius Secundus, wrote about some of the art being worked on while propped on easels in his book, we can correctly surmise that the easel was invented prior to 77 AD. More artistic proof of an easel was discovered in Asia’s history. The depiction of “a contemplative scholar”1 by the artist Wang Wei seems to show the man studying or reading and making use of an easel-like structure. This art from China is thought to have been created during the 8th century. 1) A Contemplative Scholar Image - Wang Wei. Scholar Fu Sheng. Osaka Municipal Museum, Osaka. Ancient China. By Edward Schafer. (New York, TIME LIFE Books, 1967) 123. We also know that illuminated easels were used in the 12th century by Monks. In need of something to write their manuscripts on, some monks used a form of an easel to produce their famous works. Because their manuscripts were so precious, using an easel was necessary to ensure that the monks came out with the best possible finished writing creations. The word easel is derived from the German language and it is actually a synonym for the word donkey. 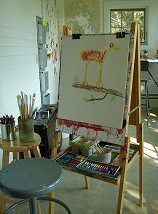 The old Germanic form of the word easel is Esel. 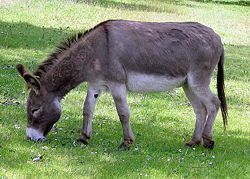 Interestingly enough, the word that means easel in many languages also means donkey in those languages as well, like Dutch (schildersezel) and Latin (Asinus). 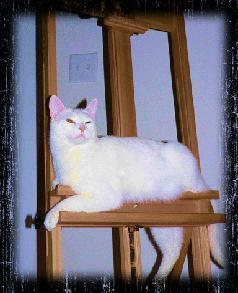 The need for easels spiked greatly in the 13th century when canvas paintings became more popular. As the demand for murals diminished, easels and the art painted upon them became more and more ubiquitous. As the renaissance progressed, the easel became a staple in the art society. On the right are two of art's famous works in which an easel is pictured. The painting right, "Young Girl in Pink Dress Sitting by an Easel with a Mandolin", is by the famous artist Jean Baptiste Camille Corot. The other painting, "Self Portrait in Front of the Easel", is by the famous artist Vincent Van Gogh. Artists' needs were constantly growing and changing during the renaissance period. 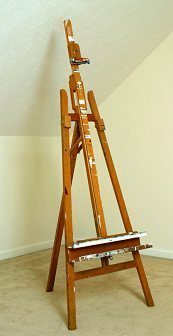 To accommodate the boom in commissioned art, many artists modified the basic easel structure to better fit their needs. This picture to the right seems to show both Plato and Socrates1 discussing a scholarly matter. The easel structure in the picture has been modified to include a chair - a clever twist on the average desk. 1) Socrates and Plato Image - Matthew Paris. Drawing from Liber Experimentarius by Bernardus Silvestris. The Bodleian Library, Oxford. The Age of Faith. By Anne Fremantle. (New York: TIME LIFE Books Inc., 1965) 98. The invention of the portable easel and storable oil-based paint in the 15th century are the two factors in the boom of landscape artwork. Suddenly, artists were able to pack up their materials and traipse the country sides, capturing anything they wanted on their canvases. To the right is an example of a famous landscape painting. "The Adoration of the Mystic Lamb" was painted in 1432. 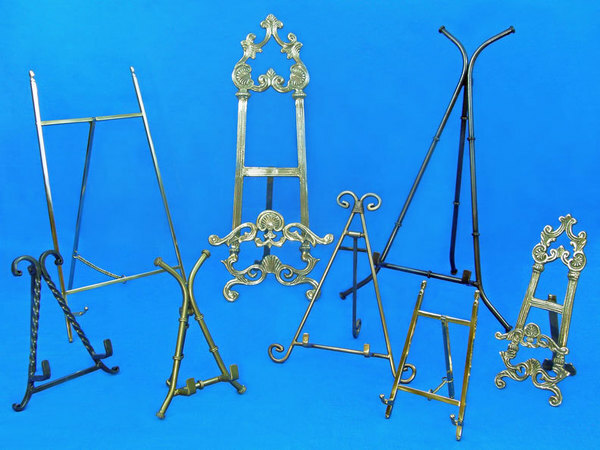 More recent history shows that antique easels2 dating from the 17th, 18th and 19th centuries have become quite valuable to antique collectors and restorers. By the 17th century, easels themselves had become works of art. 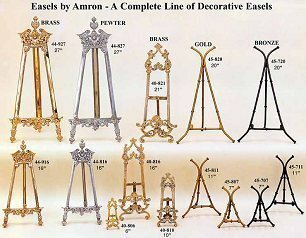 Ornately decorated easels are still widely popular today, and the older they are, the more valuable they are. Older easels are known to cost anywhere from one hundred to thousands of dollars. 1) Antique Easel Image - Marshall B. Davidson. American Heritage Dictionary of American Antiques from the Revolution to the Civil War. (U.S.A: American Heritage Publishing Co., Inc.) 1968.108. 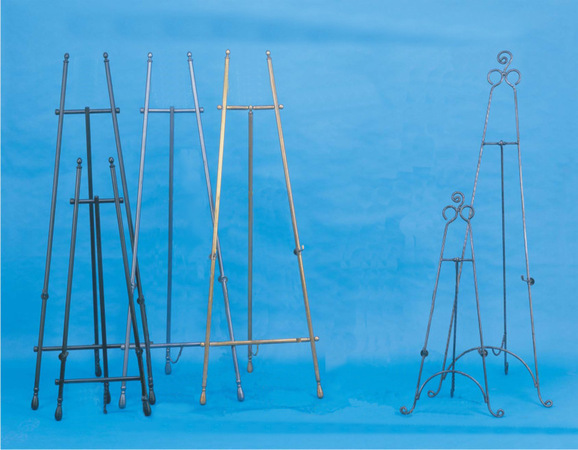 Let's explore the many different designs and styles of easels available for your use. 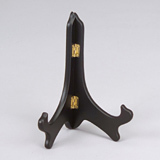 One of the two main easel designs is called the tripod design. The tripod design1 is simply based on a three leg design that join at the top. 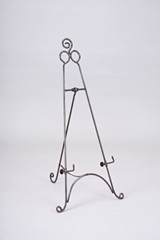 Tripod easels sometimes have crossbars that add steadiness between the front legs. 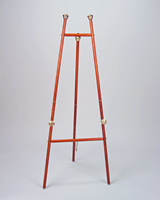 The third leg can be adjusted by the artist to a fixed height which allows the easel to stand freely. A small, moveable shelf is placed on the front side of the two main legs. 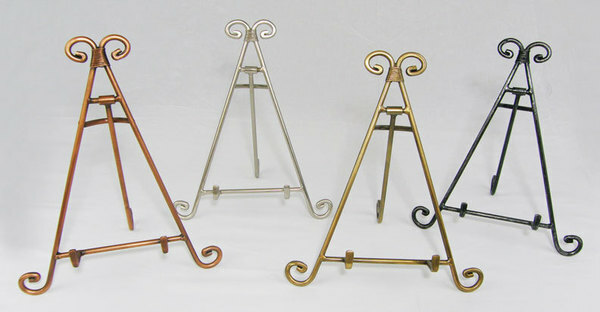 Tripod easels are also sometimes referred to as “Lyre easels”, or “A-frame easels” because of their shape when viewed from the front. 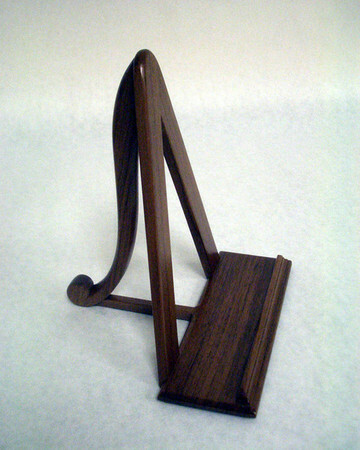 The second of the two main easel designs is the H-frame design. The H-frame style is a more complicated design and has either two or four main legs held up by a rectangular base at right angles to the legs. H-frame easels may also have crossbars for support. 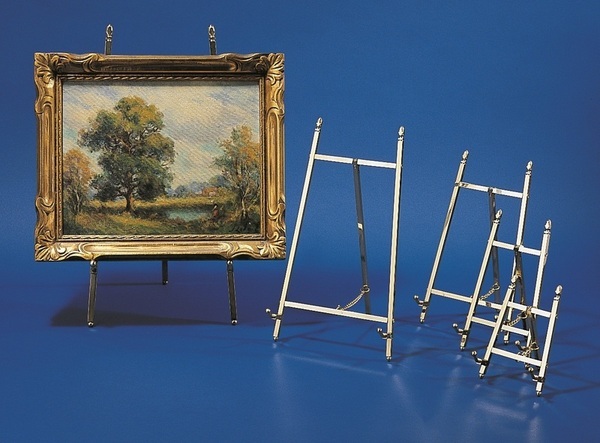 Many H-frame easels have moveable shelves to accommodate different artists and their preferences for the placement of their work surfaces. 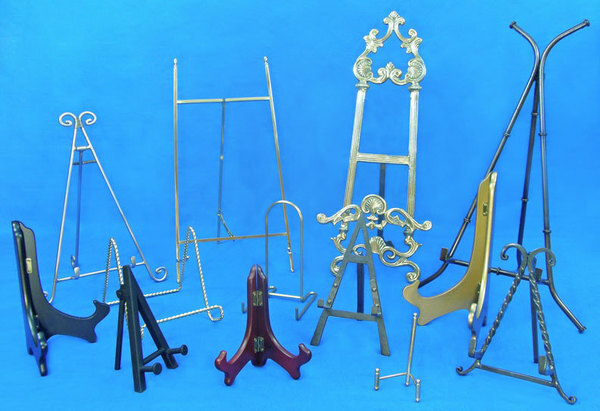 To the right is a picture of a highly adjustable H-frame easel. 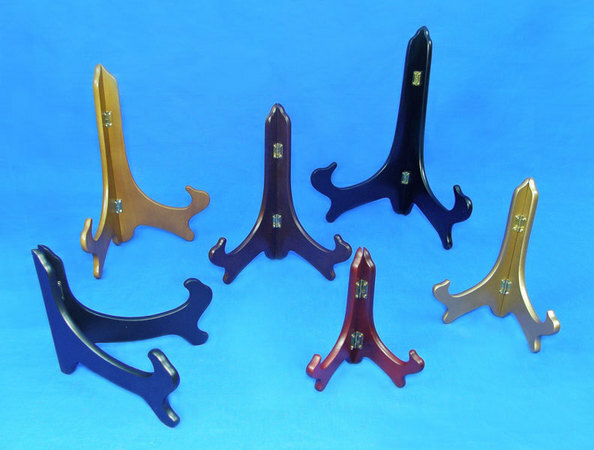 There are three common easel styles and they are grouped based on their type of usage. Studio easels and field easels are both used for creating a work of art but studio easels are designed especially for use within an artist’s studio. These two pictures show two different kinds of studio easels. 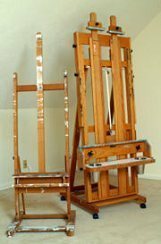 Often, studio easels are built very large and sturdy for the purpose of supporting huge canvases or other painting surfaces. 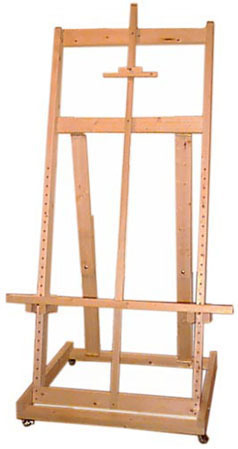 Studio easels are most often the largest of the three easel styles. Field easels are designed specifically for taking the art outside of the studio. They are always built as portable easels. 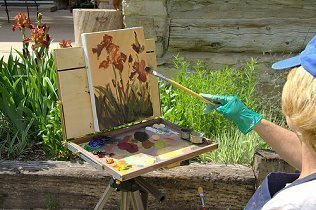 Often, field easels are also built with storage compartments to house the artists’ supplies like paints, brushes and canvasses. These easels are almost always quite small and easily carried. Because of their smaller size, field easels usually cannot accommodate large canvases. 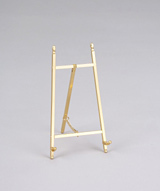 A common type of field easel is called the sketch-box easel, also known as the French box easel. Display easels are different from studio and field easels in more ways than one. 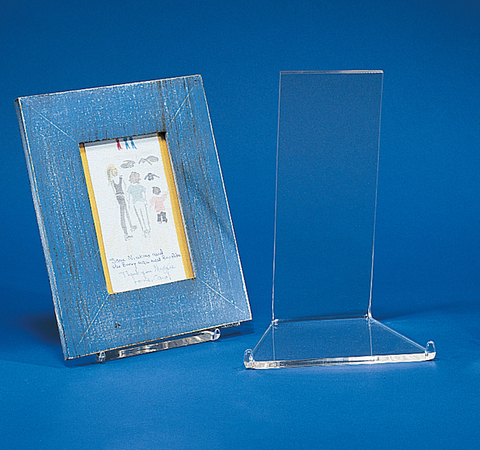 Because display easels are built specifically to display finished artwork, these easels are not built to support as much weight as the sturdy studio easels are. Also, display easels are, in a way, just as much a work of art as the art they display. Many display easels are intricate and ornate, as beautiful as they are functional. Building your own easel can be as satisfying as putting the finishing touches on your latest artwork. In this section, we will show you some different ways to build easels with help from different informative websites. 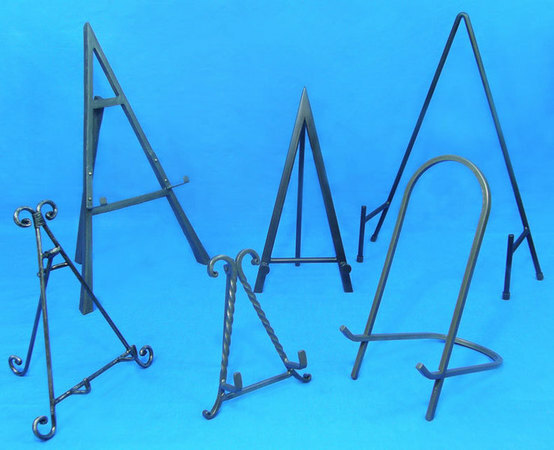 Please visit these websites to learn about building your own easel or to learn more about how the easels we proudly distribute are manufactured. Even if you’ve never built anything with your hands, Benjamin Grosser's website guarantees you can build his easel model pictured here. His informative and interesting website will guide you step by step in building a large H-Frame easel for your home or studio. Introducing children to art is an important part in helping develop their creativity. Before investing money in an expensive easel, you can always try building one for a child first! BuildEasy.com has many different types of projects any novice can build, but their website on building children's easels is very useful. 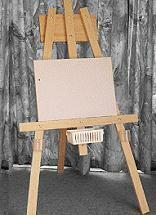 Take a look at their website if you want to try building an easel like the one pictured here. Another great website dedicated to helping people build easy projects is ExpertVillageVideos.com. In the video about building a children's easel, you will be taken through many steps. From drawing up a design to executing its production, this website will help you to build exactly what you've got in mind. Below are some of the helpful images you will see if you visit their website. 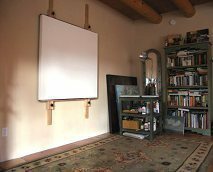 By now, we know easels are mainly used to hold up a canvas or piece of paper an artist intends to paint on. Easels are also used to display finished works of art. But easels have many other uses that you might not think of off the top of your head! Art isn't the only thing you can use your easel to display. Check out this section to see the interesting things we found easels being used for! To the right we see a large wall easel. 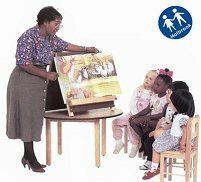 Pictured here, we can see this easel is being used to display a large children's book, probably in a classroom. Here is a table top easel also being used to display a children's book. By putting the books on a sturdy surface, children can view the pages easily and safely. It is quite common to find a flat screen television in many people's homes these days. Why not use an unconventional display method for your new television? 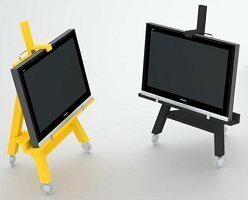 Television easel stands are built to support the weight of these flat screens and are smaller than the usual TV stand. 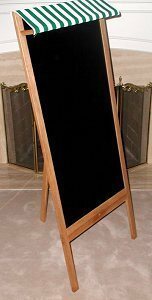 Here we see chalkboards built into easels, an innovative and useful design. You don't have to purchase your easels this way though, it is just as decorative if you place a chalkboard on any easel. By doing this, you can display different messages at different times. Thank you for visiting our tutorial! Finding facts about easels is only a click away. 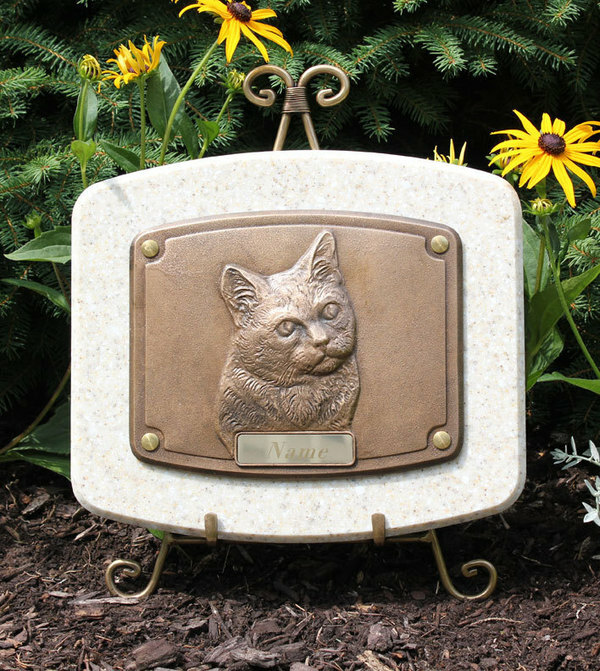 Even your pets will love our quality easels - when you purchase from our extensive stock here at Easels by Amron. Custom Easels by 10-31 Inc.